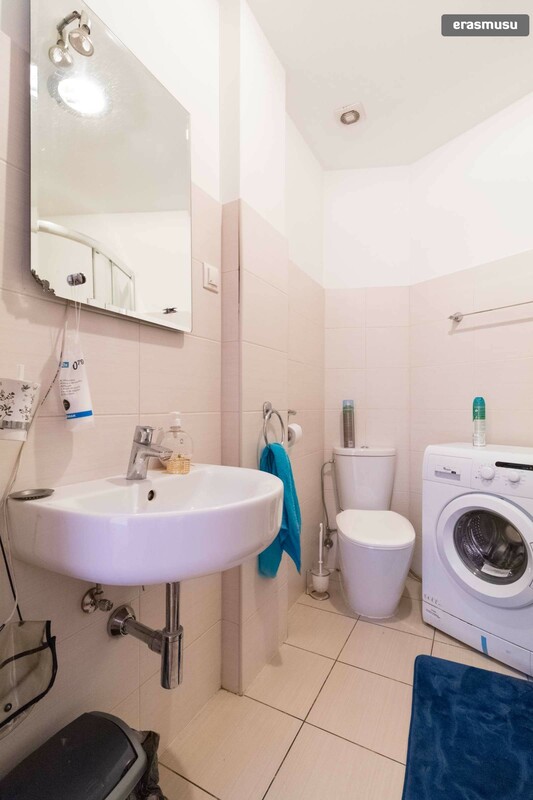 This fully-furnished studio apartment is super bright and cheery. 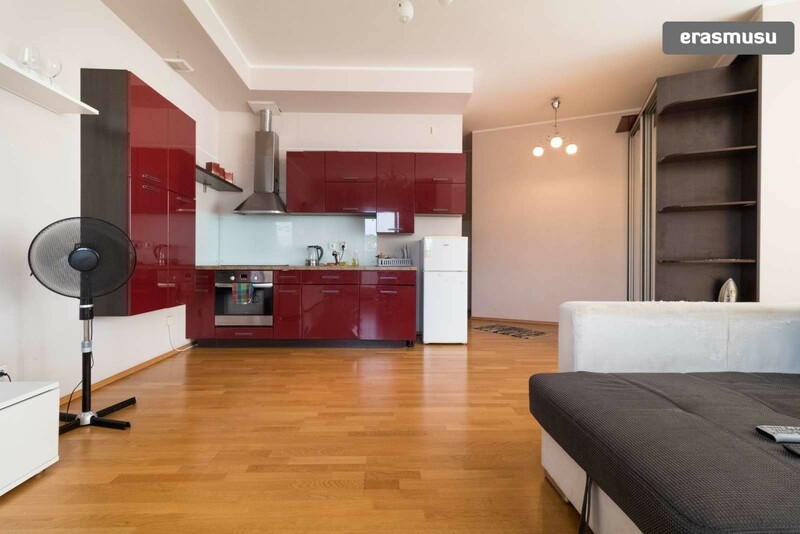 With lightly coloured hardwood floors and a cool maroon kitchen, this apartment feels very spacious and bright. 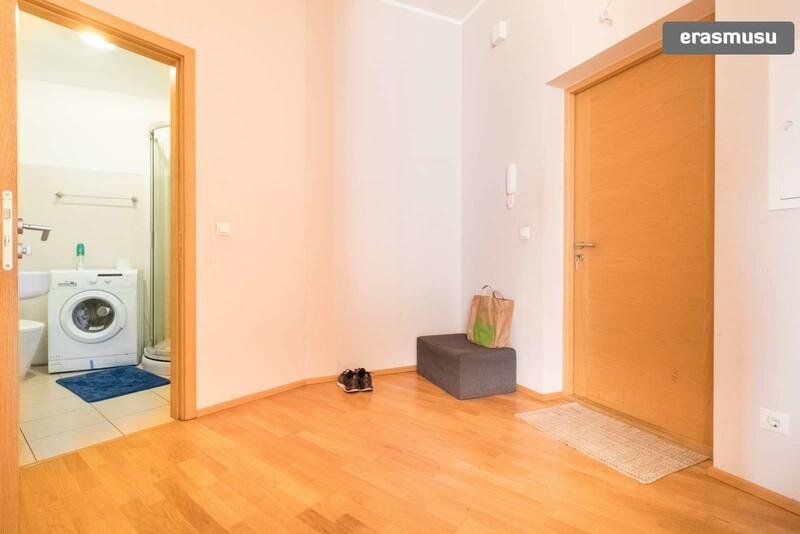 There is a balcony with a beautiful view of the tree-lined street below, and there's a large entryway that opens into the bathroom—which also has a washing machine! Steps from the apartment is a shopping mall, a post office, a doctor's office and several transit stops. 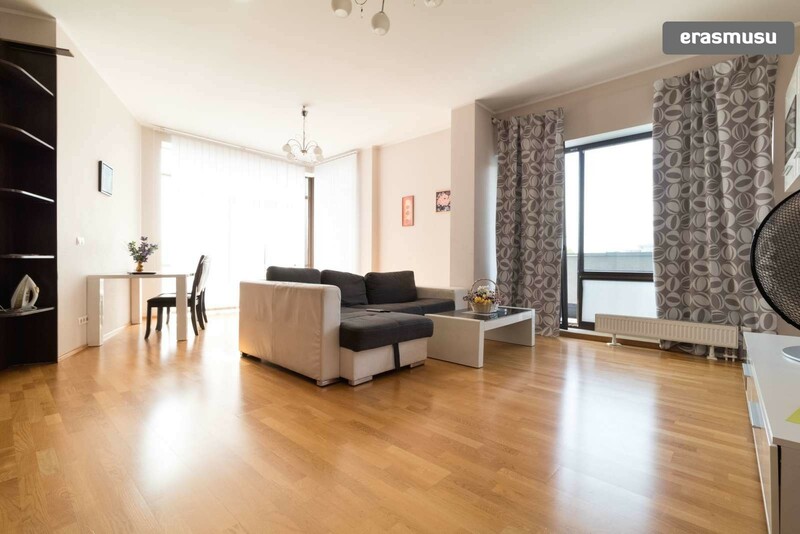 This building is nestled in a quiet, residential area and you'll have easy access to bars, restaurants and other activities in the downtown Rīga. 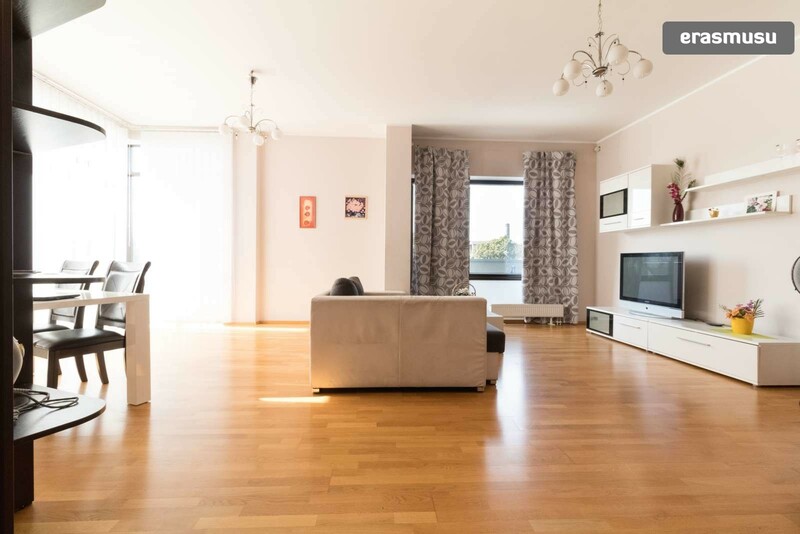 The hardwood floors are bright and cheerful. 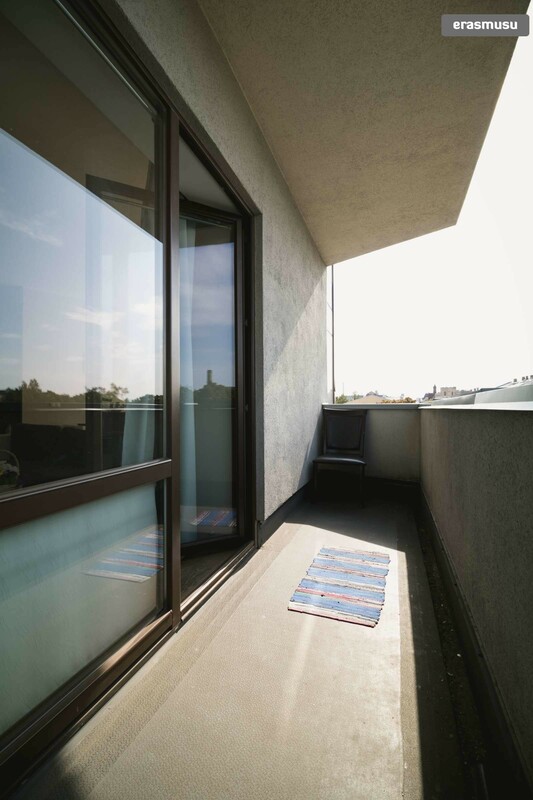 There's enough room for seating on the sunny balcony. You're steps from both light rail transit and bus stops. There's tons of cupboard space in the kitchen. 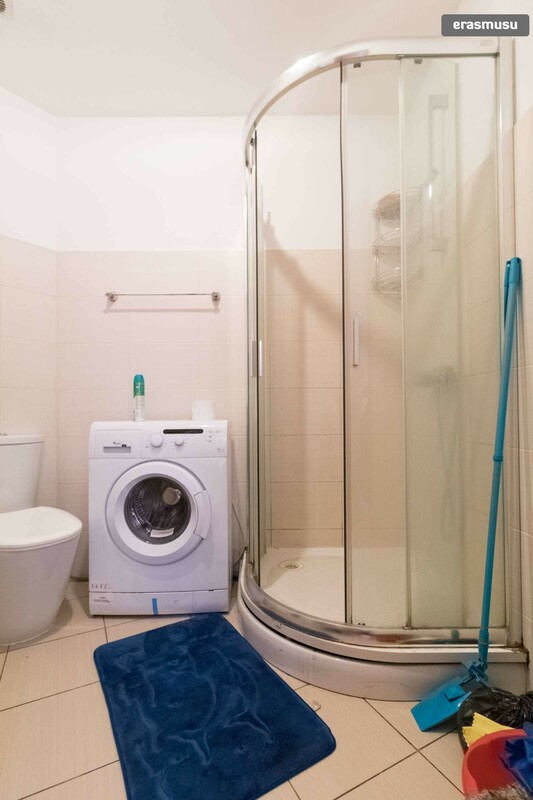 The live-in landlord is 54 years old. 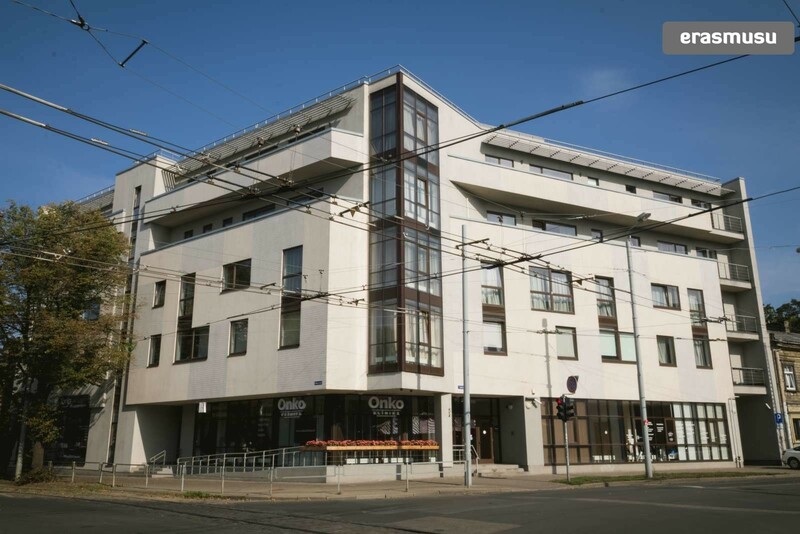 The Tallinas iela light rail station is a 1-minute walk from the front door. The Miera iela bus station is also a 1-minute walk away. 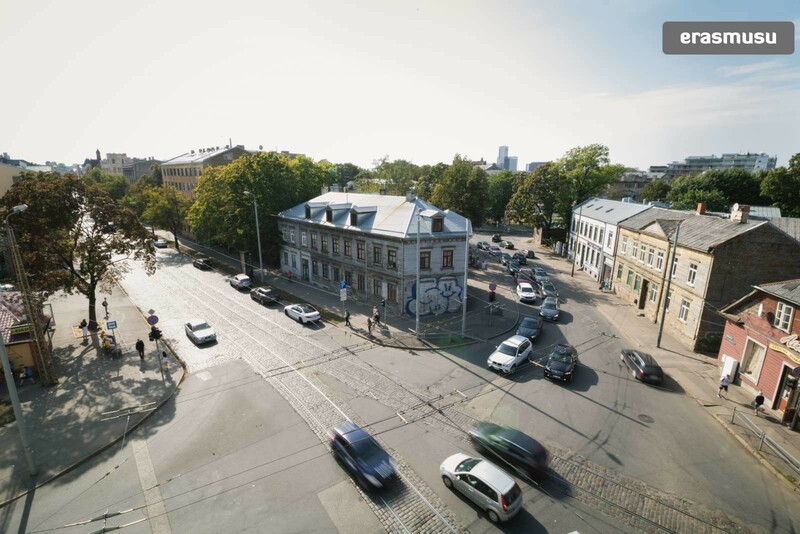 The Riga train station is a 10-minute drive away. We are currently working on our neighbourhood descriptions for Riga. Come back soon to find out more about life in Brasa.